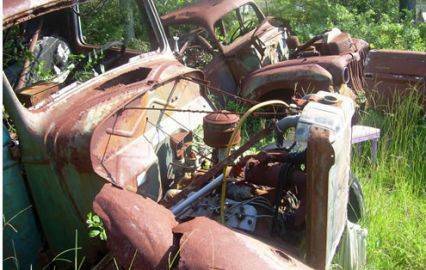 A field of Rusty Ride photo finds Photo Picture Classic Cars for sale & Classifieds - Buy Sell Classic Car & Classic Truck Classifieds. Here's some great Rusty Ride photo finds! great to see them...but...such a shame to see them in this condition. There are two 42-47 Ford Trucks, look to be 1&1/2 ton. Merc trucks had a horizontal chrome grill set and I believe were only 1/2 ton units. 46 or 47 Ford or Mercury. ?.cool.